Steak Roast tickets are on sale now! The Monterey Fire Company was organized in 1930, when concerned citizens saw the need for fire protection. On July 4, 1980, the Monterey Company LTD was incorporated in response to the need for a larger, modern fire station. Through the vision and commitment of its members and a community group of generous supporters, the fire company built the Monterey Fire Station and pavilion. The Fire Station and pavilion are owned and maintained by the members of the Monterey Fire Company LTD. You can feel secure knowing that when you dial 911, the Monterey Fire Company will arrive shortly and will efficiently handle your emergency, limiting the loss of life and property. 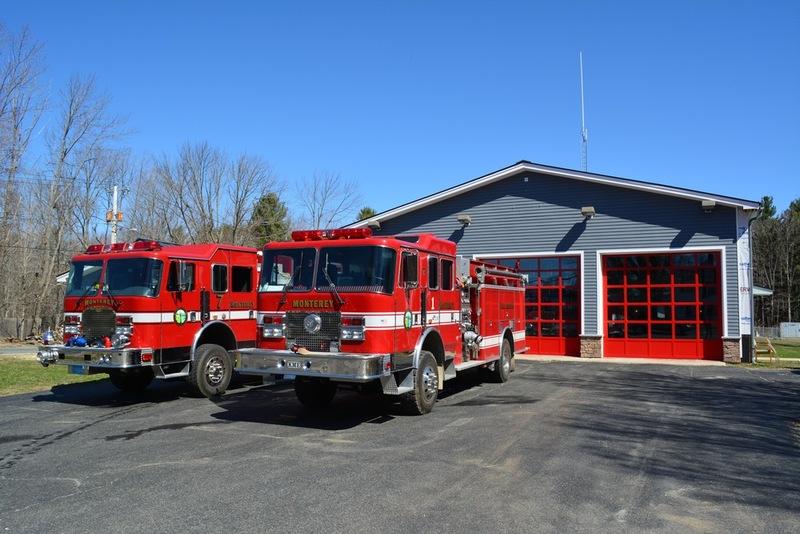 Emergency response starts at the Fire Station where your fire and rescue vehicles are housed. Last year the Fire Company responded to more than 100 emergency calls. Through weekly fire, rescue and medical training at the Fire Station, we maintain our reputation of excellence in public safety and service. The Monterey Fire Station is used for Town Meeting and as an election polling station. It is also available for private use. Why are we renovating the Fire Station?